Halebidu (literally "old city") is located in Hassan District, Karnataka, India. Halebidu (which used to be called Dorasamudra or Dwarasamudra) was the regal capital of the Hoysala Empire in the 12th century. It is home to some of the best examples of Hoysala architecture. Most notable are the ornate Hoysaleswara and Kedareswara temples. The city got the name "Halebidu" because it was ransacked two times during the invasion of Malik Kafur. Halebidu was the 12th-13th century capital of the Hoysala empire. The Hoysaleswara temple was built during this time by Ketamala (around 1121 AD) and attributed to King Vishnuvardhana, the Hoysala ruler. 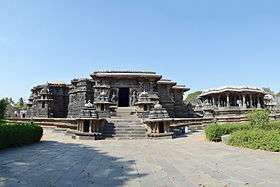 It is believed to have been completed around 1160 AD by Kedaroja, the chief architect of Vishnuvardhana's son and Successor Narasimha I(1142 - 1173). It enshrines Hoysaleswara and Shantaleswara, named after King Vishnuvardhana Hoysala and his Queen Shantala Devi. The town was sacked by the armies of Malik Kafur in the early 14th century, after which it fell into a state of disrepair and neglect. The temple complex comprises two Hindu temples, the Hoysaleswara and Kedareswara temples and two Jain basadi. In front of these temples there is a large lake. The two Nandi images on the sides of the Hoysaleswara temple are monoliths. 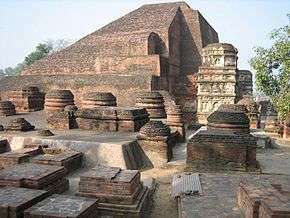 Soapstone (chloritic schist) was used for the construction of these temples. There is an archeological museum in the temple complex. The Hoysaleswara temple, dating back to the 1121 C.E., is astounding for its wealth of sculptural details. The walls of the temple are covered with an endless variety of depictions from Hindu mythology, animals, birds and shilabalikas or dancing figures. No two sculptures of the temple are the same. This temple, guarded by a Nandi bull, was never completed, despite 86 years of labour. The Jain basadi nearby are equally rich in sculptural detail. The Parshvanatha Basadi was built by Boppadeva in 1133AD during the reign of Vishnuvardhana by Boppana, the son of the famous Gangaraja who was a minister under Hoysala King Vishnuvardhana. There is an 18 ft tall Parshvanatha theerthankara statue inside the Basadi made of black granite stone. Sculpture of Yaksha Dharanendra and Yakshi Padmavati present in mahamandapa. The Shantinatha Basadi was built around 1192 A.D., during the reign of Ballala II. There is an 18 ft. tall statue of Shantinatha. This temple is now being proposed as a UNESCO World Heritage Site. The Adinatha Basadi is a small Jain basadi built in 12th century. The temple houses an idol of Adinatha and Hindu goddess Saraswati. Halebidu is 16 km away from the one more historical place Belur. 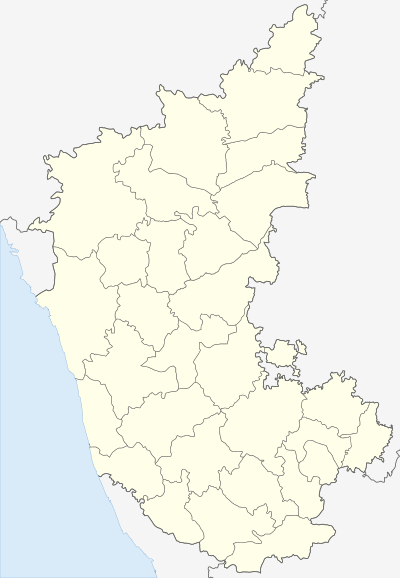 It is well connected by road and rail to Bengaluru, Mysuru and Mangaluru. There are regular buses to Hassan. The distance is 149 km to Mysore and 31 km to Hassan. ↑ "Temples at Belur and Halebidu". helabidu originally means Hela empire where Ravan the hela empire ruined over Bharath with his mighty power.Helabidu really means owns to king of Hela. Retrieved 2006-08-17. 1 2 "Halebidu - Temples of Karnataka". TempleNet.com. Retrieved 2006-08-17. Wikimedia Commons has media related to Halebidu.